The rat-like creature that chases the main characters is a giant version of the star nosed mole ("Condylura cristata"), native from Eastern Canada and North East United States. Given the fact these animals are blind, they use their nasal tentacles, known as Eimer's organ, to detect food. Although all European moles share this feature, the star nosed mole is the only animal with such an specialized one. Without counting its size in the movie (real animals are between 15 to 20 cm long) nothing else was changed. 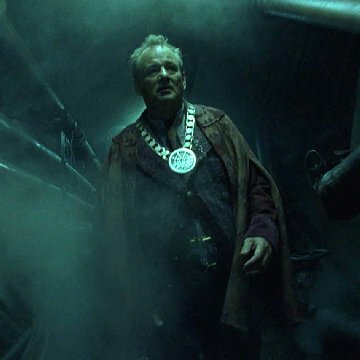 Continuity: As Doon is walking to look at the Generator room, a girl in full orange work gear and yellow boots walks across the control room and towards a hall. The shot changes to the door. Then when it goes back to Doon, the same girl(orange gear, yellow boots) gets up from the left and starts walking across the room again, before the shot changes back to the door. 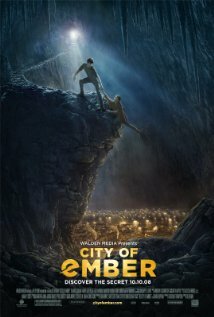 City of Ember employs a supremely majestic setting to unravel its end-of-the-world sci-fi adventure, but several missed opportunities keep it from escaping its family-friendly roller coaster ride feel and becoming something truly unique. 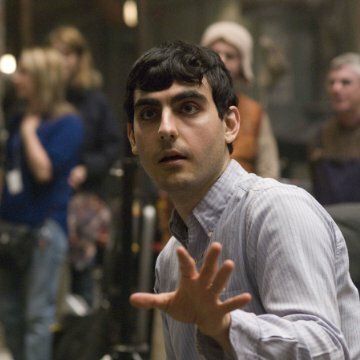 However, a few too-convenient outcomes and a rushed introduction can't take away the undeniable enjoyment of solving the epic mystery of the once-grand city with the two enthusiastic leads. 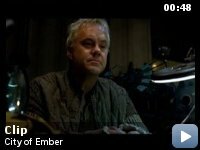 Years and years have passed and the once mighty City of Ember steadily falters as corrupt officials dictate an antiquated way of life and the massive generator that powers the city frequently fails. Now it is up to two ambitious youths, Doon Harrow (Harry Treadaway) and Lina Mayfleet (Saoirse Ronan) to solve the mystery behind the origins of their city and find a way out before their world is blanketed in darkness forever. 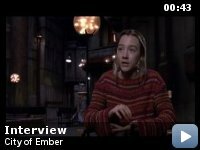 Easily the most impressive piece of the City of Ember puzzle is the delightfully ominous science-fiction visuals. 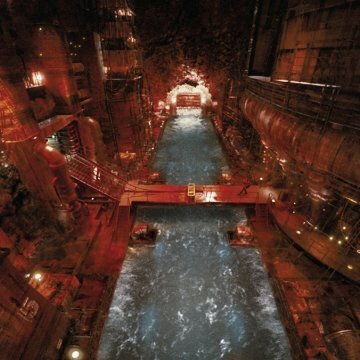 The massive sets were built in Northern Ireland in the shipyard-turned-soundstage of the location the Titanic was actually constructed in (now the largest soundstage in the world) and it's never more apparent than in the beautiful crane shots through the underground city. 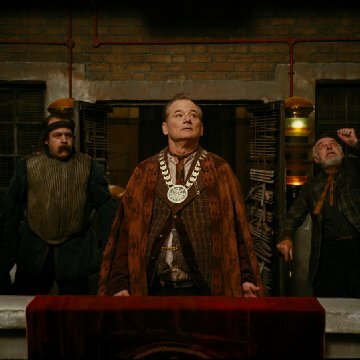 The CG elements are also top-notch, but the practical effects flawlessly immerse the audience in the fantasy world of pipeworks and generators. While the setting is brilliantly realized, the characters that populate the grandiose city receive far too little development. The introduction and relationship between the two main characters feels truncated and never really furthers as the story progresses, and the origins of each remain as enigmatic as that of the shining city. 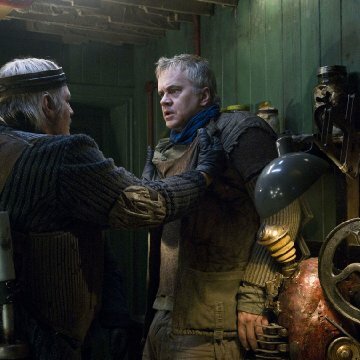 The adult characters throughout never provide as much support as they should to enhance the understanding and motives behind the city's cryptic suppression. 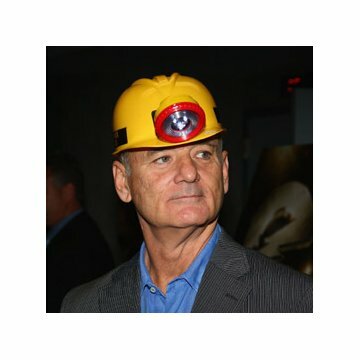 At least Bill Murray hams it up as the gluttonous mayor with a devious agenda of his own. 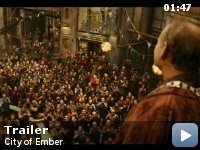 Like something blended from a video game universe (Bioshock in particular) and 12 Monkeys' post-apocalyptic subterranean sewer-world (or even Terminator's hypogeal bomb shelters), City of Ember packs adventure and intrigue into the wondrous exploration of a society crumbling from age and deceit. As the young heroes scour the dank passages and forgotten tunnels, it's difficult not to become immersed in the fun of uncovering clues and discovering secrets alongside the venturous duo.